For a long time, I’ve wanted to produce a newspaper investigative project with an accompanying full-fledged video documentary – a marriage of traditional hard-hitting reporting with narrative-style television journalism. The story of Brookhaven National Lab’s troubled history in the Marshall Islands – told in a nine-part 32-minute documentary and a 5,000-word Sunday magazine piece with on-line sidebars – provided a challenge to do just that. Published on Aug. 23, this project became the first investigative documentary in Newsday’s history. Though much has been written about U.S. nuclear testing in the Pacific, the largely untold story of Brookhaven National Lab’s involvement – mixed with deep emotions and allegations of treating the Marshallese like “guinea pigs” in a secret U.S. medical study – cast new light on a renowned institution in Newsday’s own backyard. This multi-media approach also suggested a challenge for newspapers in producing quality video journalism not only for the Internet, but for those watching on large at-home television screens through the emerging medium of on-demand video channels, where the sights and sounds of documentaries hold much greater impact. Our investigation into Brookhaven’s 43-year history in the Pacific combined shoe-leather reporting, vivid on-camera interviews in faraway locales, and archival government footage of the 1954 “Bravo” hydrogen bomb bursting in air, burning the skin and hair of those covered in its wake. We found that Brookhaven researchers deliberately returned 250 exiled people to their contaminated homeland in 1957 so they could study the flow of radioactivity in their bodies. When more than 100 Marshallese developed thyroid and cancer problems, they were paid $25,000 for their cooperation in having questionable thyroid surgery, often without their informed medical consent. For years, the Marshallese were kept in the dark about radiation levels in their own bodies. These circumstances were highlighted in 2007, when the Nuclear Claims Tribunal awarded $1 billion to those from Rongelap, the most severely impacted Marshallese people, including $34 million specifically for emotional distress caused to those who returned and were studied by the U.S.-funded researchers for “scientific and military concerns”. The Tribunal’s decision backed Rongelap’s long-held view that its people were treated like guinea pigs in a human research study conducted by Brookhaven. Whether President Obama and the Congress will pay damages to Rongelap and other bomb-affected atolls is still very much in doubt. Newsday’s investigation began in early 2006, when I stumbled across a Web site with once-confidential government documents involving Brookhaven National Lab, a storied place on Long Island where scientists have been credited with six Nobel Prizes. A decade earlier, the Clinton Administration had released records about the government’s Cold War nuclear testing – both in Nevada and in the Marshall Islands, a tiny string of islands in Pacific where 67 nuclear bombs were detonated. 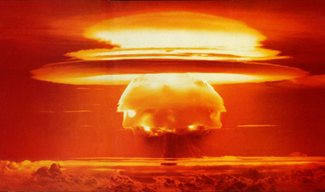 Although much was written about the 1954 “Bravo” hydrogen bomb blast that showered the Marshallese in fallout, these documents – which I pieced together in a chronology – revealed a remarkable story about Brookhaven National Lab’s deliberate, open-eyed gamble in returning people to their contaminated homeland and the dramatic consequences over five decades. 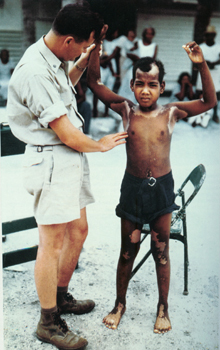 We framed much of our narrative around two key people – Dr. Robert Conard, the long-time head of Brookhaven’s medical program in the Pacific (shown at right treating a blast victim), and John Anjain, the mayor of Rongelap, the atoll most affected by the bomb, who trusted Conard as a friend and later felt betrayed as his family’s health was ravaged by the radiation’s impact. Undoubtedly, this very human drama was one of the most extraordinary tales of the atomic age, one still being played out. Getting our project done would require a lot of patience and perseverance. By April 2007, Newsday sent John Paraskevas, our most accomplished photographer/video journalist, and me to the Marshall Islands, where we came back with some 50 hours of interviews and B-roll. Part of the trip included an 800-mile flight with some Bravo bomb survivors to empty Rongelap, abandoned by its residents in 1985 when they became convinced Brookhaven was not telling them the truth about lingering radiation. In the ensuing months after we got back – a time in which Newsday had three different owners – we gathered all available photos, archival film, and flew to Washington, DC, for a videotaped interview with a U.S. Energy official who answered our questions when Brookhaven declined to comment. Meanwhile, both John and I worked on many other Newsday stories, but never lost focus on this project. I first watched all of the taped interviews and compiled a log of all the significant sound bites with the time codes where they could be found on the tapes. Then I wrote a script with narration and numbers for each photo and video clip that might be considered in editing. During the evenings (when Newsday computers were available), John and I put together rough video drafts of each of the nine-segments for the Web-based documentary, edited on Final Cut Pro into chapters averaging less than five minutes. As we moved forward, more than half the original script wound up on the cutting room floor. We were always mindful of telling the story visually, but we wanted to let the investigative reporting drive the narrative, crafting a script that was written “for the ear” like an NPR radio segment.  We didn’t want just unnarrated visuals and raw sound bites like so many other newspaper online presentations. Rather, we wanted to put together a fully integrated narrative in which the story would unfold over time, and we could see the drama and changes in our key characters. We wanted the investigative reporting to come alive in a video sequence as much as on the written page. We relied on Soundtrack Pro to provide the background music that gave the story a cinematic tone, but we were careful not to let it manipulate viewers’ feelings. Ironically enough, because of space constraints in the print presentation, I thought some of our investigative reporting was more complete and fully rounded in the video versions. It’s one thing to say more than 100 Marshallese were paid $25,000 by U.S. officials for questionable thyroid surgery, but it’s quite another to see them point to the scars on their necks or holding the bottles of thyroid medicine that they must take for the rest of their lives. By the time we received a final go-ahead this spring, a new opportunity for story-telling had emerged. Because Newsday is now owned by Cablevision Systems Corp., one the nation’s top cable television operators, we were uniquely situated to broaden our potential audience for this complex tale in ways I hadn’t imagined. With Cablevision, we had the chance not only to tell this multi-media story on the Internet in small chapters watched on desk laptops, but now – with the creation of a Newsday on-demand channel -- we could eventually offer a full-fledged 32-minute documentary that could be played by cable television viewers on their large-sized screens at home. Suddenly it seemed like we were independent documentary film-makers as much as traditional print journalists. In addition, the main Web site devoted to Marshall Islands news followed our coverage, and the president of the Marshall Islands said he would seek a meeting this fall with President Obama to discuss why none of the money awarded in 2007 has been paid to the former residents of the island of Rongelap. On-demand television offers a new opportunity for newspapers to produce sophisticated real-life documentaries that complement their print versions, and provide a whole new audience for our journalism beyond the postage-stamp, catch-and-grab “YouTube”-like presentations on the web. A complete version of the documentary – without the separate chapter markings used on the web – is being completed for Newsday’s on-demand channel in the near future. Working with video for me was a return to the proverbial fork in the road. In 1982, I won the documentary prize at Columbia Journalism School for a 25-minute investigative video about the mob’s influence at the old Fulton Fish Market, which was sold to WNET/Channel 13 in New York. Instead of a TV career, I went off to the Chicago Sun-Times and then spent 26 years at Newsday, writing investigative stories and four books. After years of wishful thinking, this documentary achieved the combined effect I’ve been aiming for in producing investigative print reports for Newsday. There’s a certain creative excitement, a “flying by the seat of your pants” euphoria, gained from pushing the boundaries of emerging mediums like Web-based and on-demand video documentaries, where everything seems new again. Hopefully this is not the last gasp of long investigative stories at newspapers like Newsday, but rather the beginning of multi-media investigations that bring important issues to light in many new and challenging ways. Here are the links to the original Newsday stories and documentary.